Ah… Lynnderella Thank Blue where do I even begin? 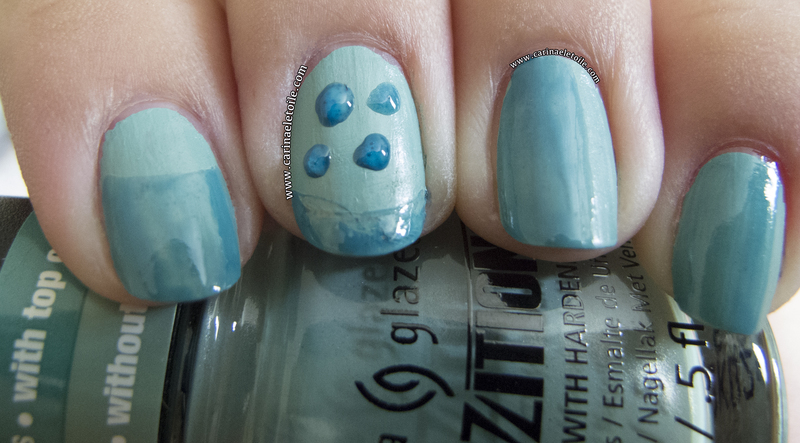 I swatched this for the first time last week and I used China Glaze’s Aquadelic as the base – aka undies! 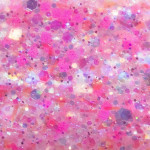 Lynnderella Thank Blue is this mega mix of packed micro holographic glitter. 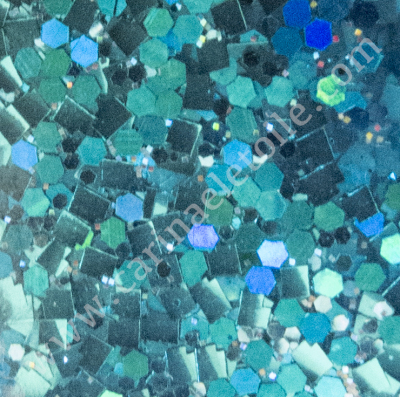 It also contains medium hex and square blue/teal glitter. The blue hex does this crazy color change from green, to blue to turquoise shades when viewed at different angles. Let’s just say it kept me entertained for a few while I tried to figure out the colors. 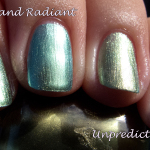 For these particular swatches I used two coats of China Glaze’s Aquadelic and two coats of Lynnderella Thank Blue! Aquadelic dried quickly as did Thank Blue! How gorgeous is this macro shot? 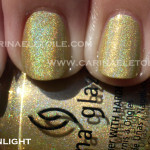 Just LOOK at the glitter! 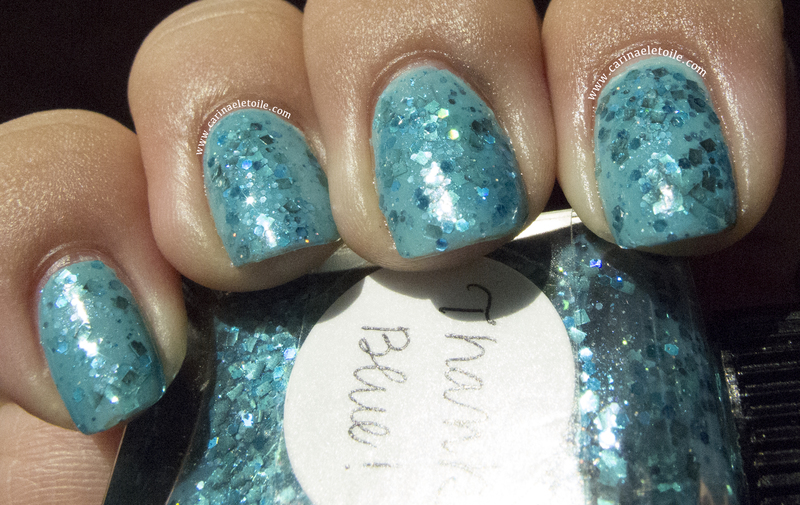 The shade shot I feel is the prettiest because it shows the subtle beauty of Thank Blue over Aquadelic. Thank Blue! was incredibly hard to capture in Sunlight. It’s almost like it was playing a game with me…one I was not all too happy in playing. I capped off Lynnderella Thank Blue! with her Glitter Tamer and a coat of Poshe. 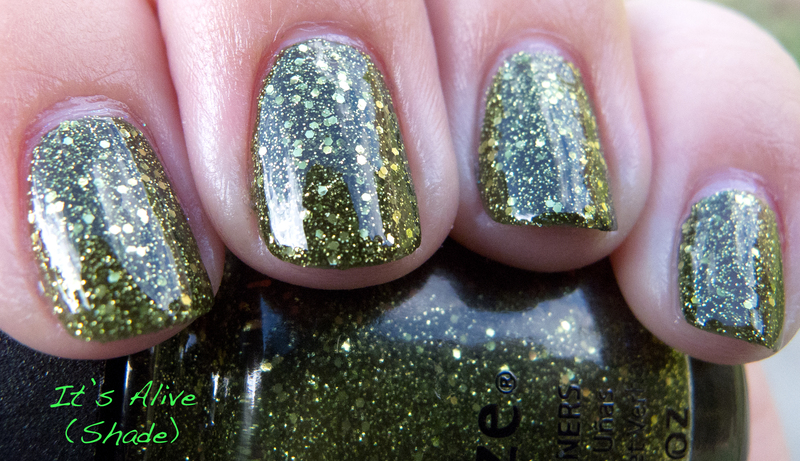 Normally Glitter Tamer does this insane thing of making the glitter shine more than usual. I know it sounds crazy, but it’s true. Though Glitter Tamer has been discontinued, you can always hit your local Sally’s and pick up a bottle of Gelous – it will iron out your thirstiest of glitters, giving you a smooth lump-free finish.